Hollywood Highlights with Sue Strachan. Great Day Louisiana show host and senior producer Jacqueline Mazur is delighted to join the WWL-TV team! 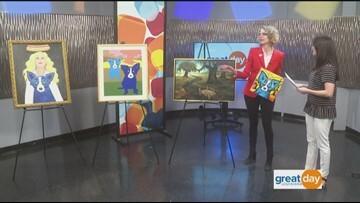 Wendy Rodrigue, widow of the late George Rodrigue, joins us to talk about the Life and Legacy Tour that celebrates the blue dog artist. For more information visit GeorgeRodrigue.com. 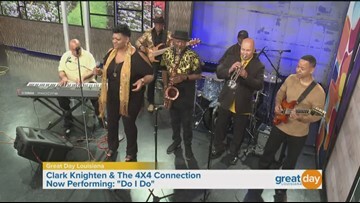 Clark Knighten & The 4x4 Connection are a smooth jazz band from Gretna. They are taking part in a Mother's Day concert May 12th from 6pm-pm at the Four Columns. Children and teens consume 17% of calories from added sugars--nearly half of which comes from drinks alone. 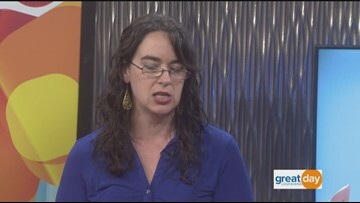 Dr. Mary Alice Younger-Rossi with the American Heart Association and Tulane School of Medicine joins us to tell us what we can do to cut down on sugar consumption and swap out those vices with more healthy options. A beer-infused menu? Count us in! 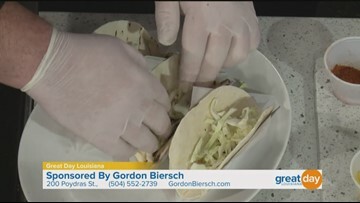 Executive Chef Andrew Meyers and General Manager Marisa Delgado with Gordon Biersch come by to whip up some blackened shrimp mango tacos and tell us about their eclectic American menu. Go to gordonbiersch.com for more information. 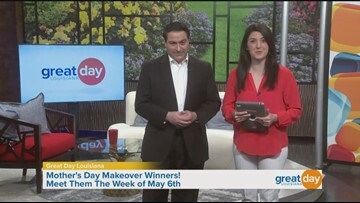 The winners of the Mother's Day Makeover brought to you by Lakeside Shopping Center & Paris Parker Salon & Spa are announced! Are you reading to go RVing? 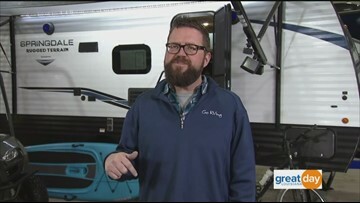 Automotive expert and RVer Rutledge Wood speaks to the benefits of owning an RV and discusses the trends he is seeing within the industry. 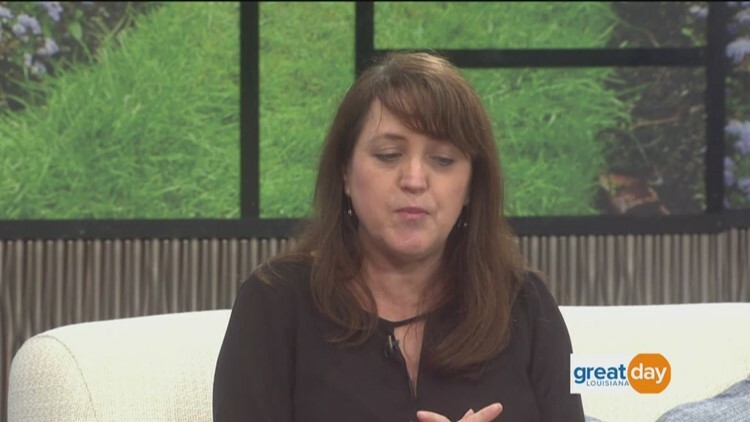 Good Living Correspondent Julie Couret gives us some tips for using a dating app. 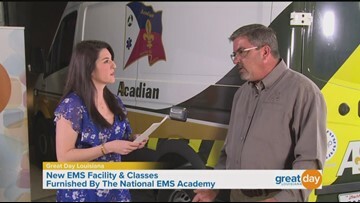 EMTs and Paramedics are in high demand across the nation and in New Orleans and National EMS Academy has opened a new facility for students to meet that demand. Education Coordinator Robert Clement joins us to talk about the details of the program. Orientation for the semester begins Wednesday, April 4th. 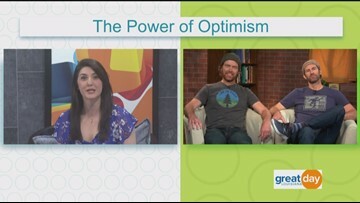 Bert Jacobs & John Jacobs co-founders of Life is Good spread the message of positivity and using the power of optimism to reduce stress and anxiety. Get your financial game plan together! Emmett G. Dupas III with Northwestern Mutual joins us with an overview of offensive and defensive planning when it comes to your finances. 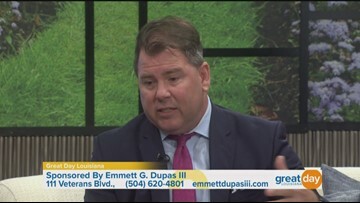 For more information go to www.emmettdupasiii.com or call 504-620-4801. 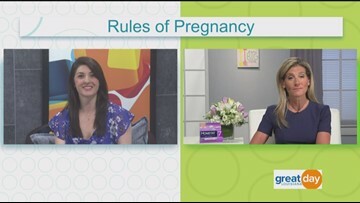 Dr. Alyssa Dweck discusses the findings of a study conducted by Monsitat called "Confusion After Conception" that navigates the rules of pregnancy. 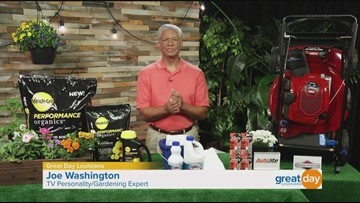 Joe Washington, original host of HGTV's series Groundbreakers, gives us some tips for creating an outdoor oasis. 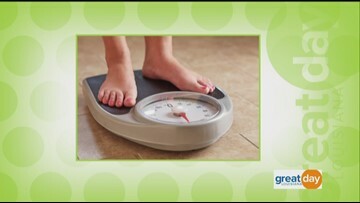 The scale doesn't lie, but do you really need one? Jennifer Maraist with Triumph Fitness tells us why the scale is not the only thing you should consider when evaluating your fitness journey. She gives some tips for measuring progress without using the scale. 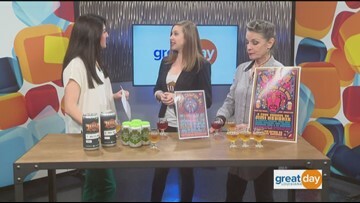 Great Day Foodie Poppy Tooker brings NOLA Brewing Company to the studios to discuss their 10-year-old brewery on Tchoupitoulas that offers brews on tap, bands on stage and a new hop tea! For more information visit them at www.NOLABrewing.com.